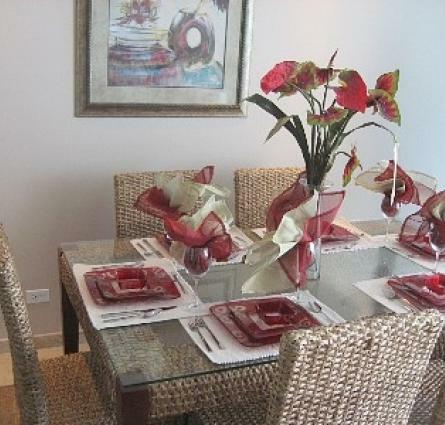 Sapphire Beach Barbados is one of the newer condominium properties perfectly located on the fabulous Dover Beach in Christ Church. This 54-unit complex designed by renowned architect Ian Morrison has over 370 feet of beach frontage and consists of 18 two-bedroom and 34 three bedroom units. The two bedroom apartments at Sapphire Beach are almost 1700 sq.ft of beachfront luxury are quite unique featuring a split level design on the ground and first floors of the building. The entrance and the master bedroom are on the ground level of the apartment, with the latter having direct access to the pool deck and gardens. On the upper level is the living room, kitchen, second bedroom and balcony, offering excellent views overlooking the pool to the beach and ocean beyond. All units are equipped with a full appliance package (washer/dryer included) and include superbly designed Italian kitchens and air-conditioning as well as ceiling fans in all rooms. The finishes are luxurious and show top quality craftsmanship including the granite counter tops and porcelain floor tiles. Most importantly the ocean view from every unit at Sapphire Beach is incredible. The property includes shared amenities such as two large kidney shaped swimming pools (170ft of pools) with boardwalk bridges leading to the beach, an elevator, gated and private driveway and parking facilities and .a state-of-the-art on-site gym with some of the latest fitness equipment and machinery. Nothing beats the convenience of the location of Sapphire Beach as everything you require is within walking distance including the well known St. Lawrence Gap which has a huge selection of dining, partying, drinking and entertainment spots. 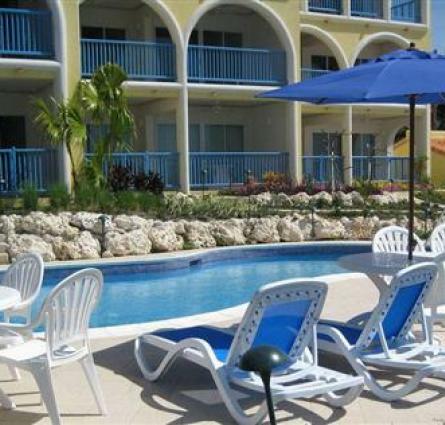 Sapphire Beach Barbados combines West Coast style with the laid back elegance of the South Coast. Visit www.barbadossapphirebeach.com for more information, photos and videos. Sapphire Beach Barbados is one of the newer condominium properties perfectly located on the fabulous Dover Beach in Christ Church.